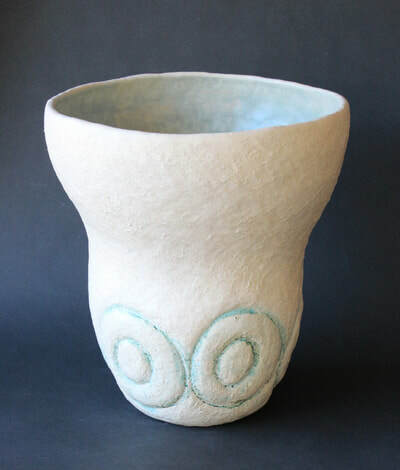 These vessels are influenced by the all-white concept - but are enhanced with bits or areas of color. 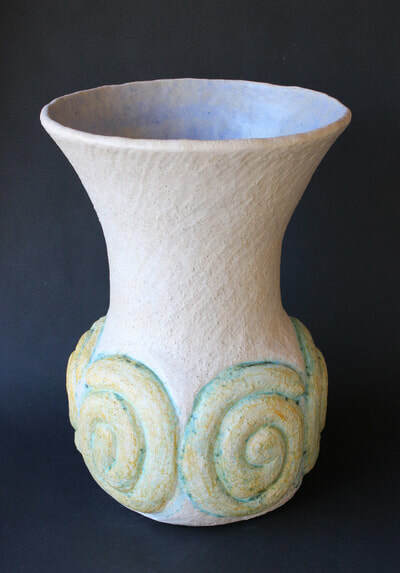 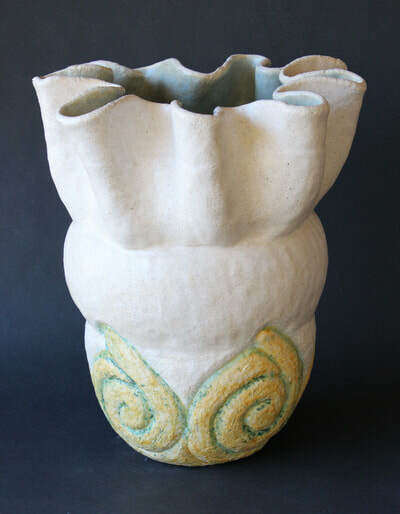 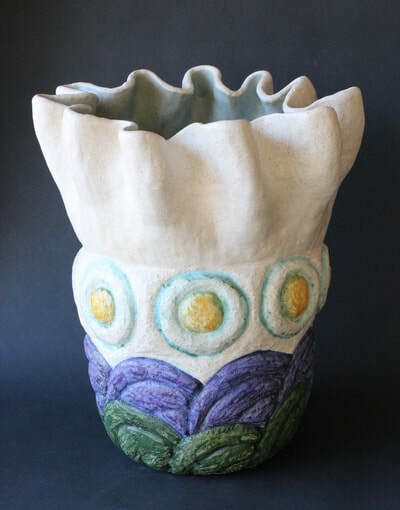 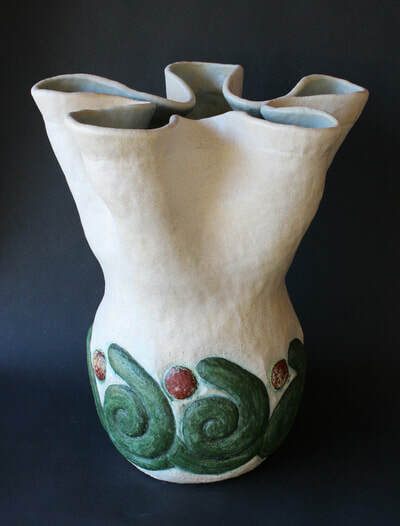 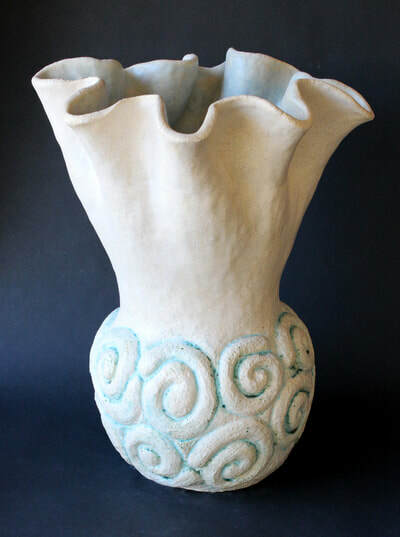 The generating themes are open or flared vessel forms with carvings of spirals or concentric circles and curves. 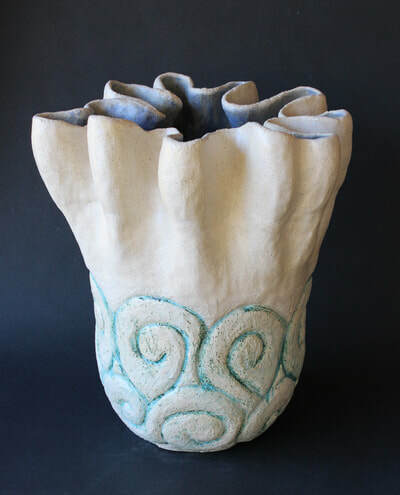 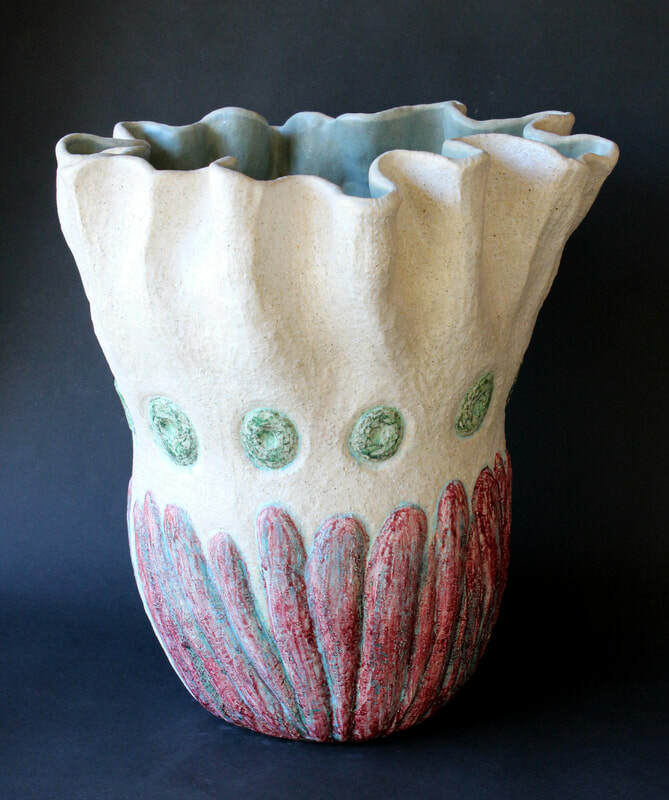 The clay is a rough white earthenware that reveals lots of texture when carved.